Craig is one of the world's finest guitarists with a laid back, effortless and naturally skilled approach to playing guitar. Few guitarists have managed to produce the beautiful sound that Craig does so effortlessly, nor have his natural connection to audiences around the world. 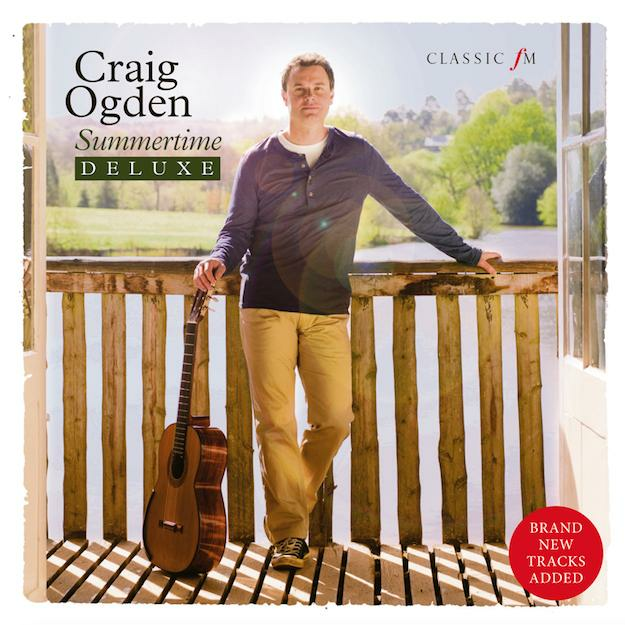 'Summertime - Deluxe' provides serene summer listening that will transport you to the sun-kissed coasts of Spain with pieces such as Granada, Asturias and the Concierto de Aranjuez, and to the romantic world of cinema with favourites such as Pelagia’s Song from Captain Corelli’s Mandolin, The Godfather Theme and Morricone’s Gabriel’s Oboe from The Mission. The album also includes beautiful versions of popular pieces such as Satie’s Gymnopedie No.1 and Mozart’s Rondo Alla Turca. Summertime was originally released in 2011. This special deluxe version celebrates Classic FM's 25th Anniversary with 3 brand new and exclusive bonus tracks which are sure to bring something extra special to an already stunning album. Classic FM's Composer-in-Residence Debbie Wiseman has written a brand new composition, especially for this album, alongside a stunning arrangement by Classic FM presenter John Brunning, plus a solo rendition of one of Craig's personal favourites by Agustin Barrios. This album has everything you need to help you unwind, relax and to get you in the mood for summer. In French music, Gabriel Fauré forms a link between Romanticism and modernism: in Paris in the year of his birth, Chopin was still composing, and by the time of his death, jazz was all the rage, whilst Stravinsky was championing neoclassicism. 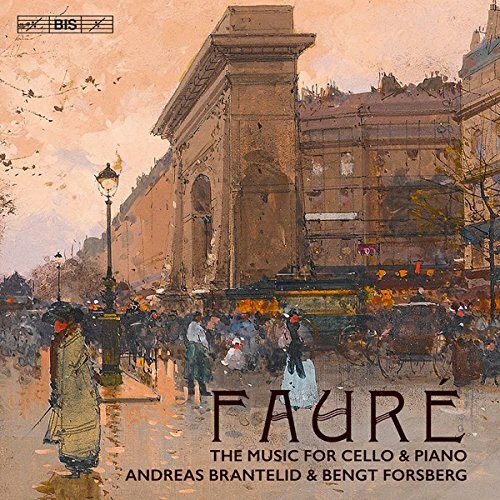 This recording contains all of Faurés music for cello and piano, including the much-loved Élégie and Sicilienne pieces that are sometimes described as salon music, with qualities that caused Debussy to dub the composer the master of charms. Interspersed with this lighter fare are also the two sonatas from Faurés later period when, suffering from increasing deafness, he developed a more pared-down style. Even though the sonatas came into being only a few years apart they are nevertheless quite different. Appearing in 1917, Sonata No. 1 in D minor is very much a wartime work, at times almost violent. The G minor Sonata is altogether more accessible, with a vivacious finale that caused the composer Vincent d'Indy to remark to the 78-year old Fauré: How lucky you are to stay young like that! Andreas Brantelids previous release for BIS a disc with music by Grieg and Percy Grainger received critical acclaim including a Gramophone Editors Choice. For this all-Fauré programme he has chosen to collaborate with pianist and highly respected chamber musician Bengt Forsberg. David Mellor picks out his three favourite new releases every week - including his own Album of the Week, a Bargain Boxset and a Bargain Album - bringing you lots of new recordings to explore. In this, the 30th anniversary year of Naxos, it is worth pointing out that a lot of their recordings are too exceptional to be confined to a Best Bargain ghetto. They compete at any price. Certainly true of this issue by the recently formed (in 2012) American based Arabella Quartet. 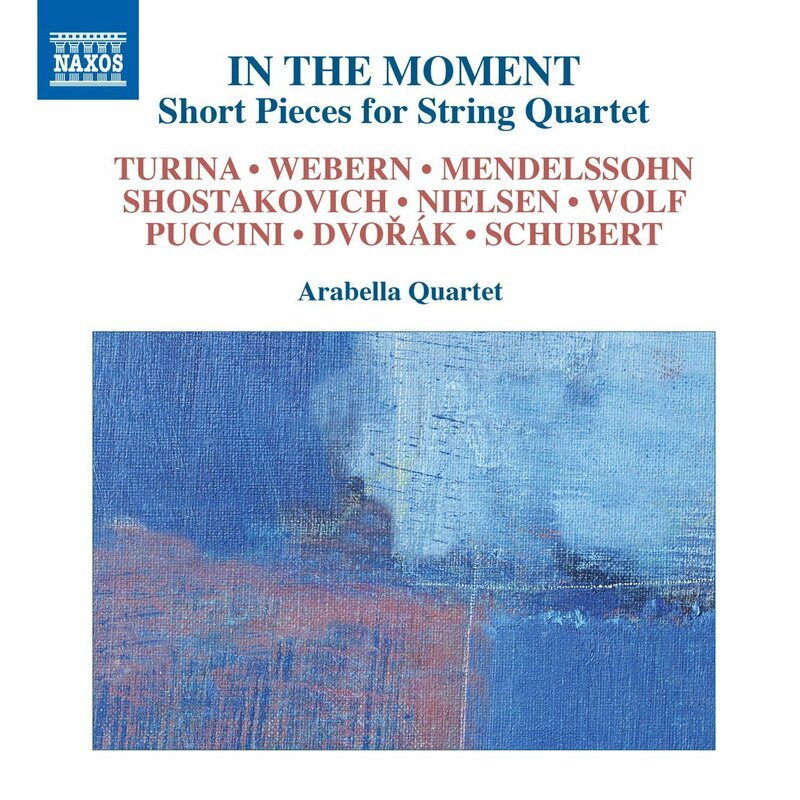 This well filled 69 minute album features 13 pieces by nine different composers. I would be astonished if anyone knew all of them. I personally knew 6 of the 13, and was thrilled to make new discoveries, like Webern’s Langsamer Satz, written when the composer was 21, and still writing tonal music. I also enjoyed two pieces by Shostakovich; an Elegy, taken from an aria from Lady Macbeth, and a pungent polka, from his early ballet The Age of Gold. This is an album well worth dipping into, exceptionally well played by this young American team. 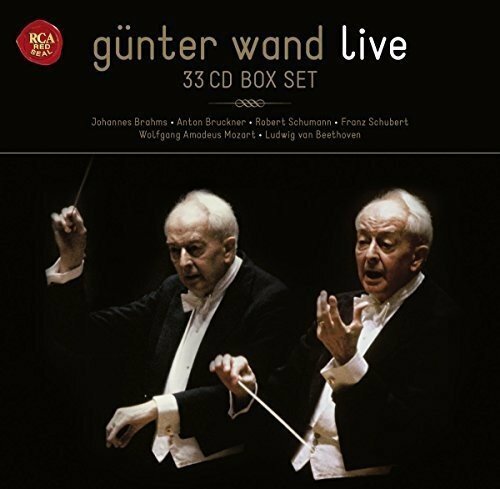 Gunther Wand was, during his long career, a highly regarded German Kapellmeister, who found international fame late in life, when his interpretations of the core Austro-German classics, notably Beethoven, Brahms and Bruckner, were very highly regarded. He also got the chance to record outside Germany, with, for instance, some fine recordings featured here from Chicago. He was also a regular, and much valued visitor to London. These 33CDs featuring live concerts, though many of them are only live in the sense that they are edited versions of rehearsals and performances, so the atmosphere of a live concert is often absent. In other words, essentially studio recordings done on the cheap. Some people may find this an advantage. Be that as it may, what is undeniable is that these 33CDs will cost you £55 or less. And so, this is an outstanding bargain for some generally very fine performances. 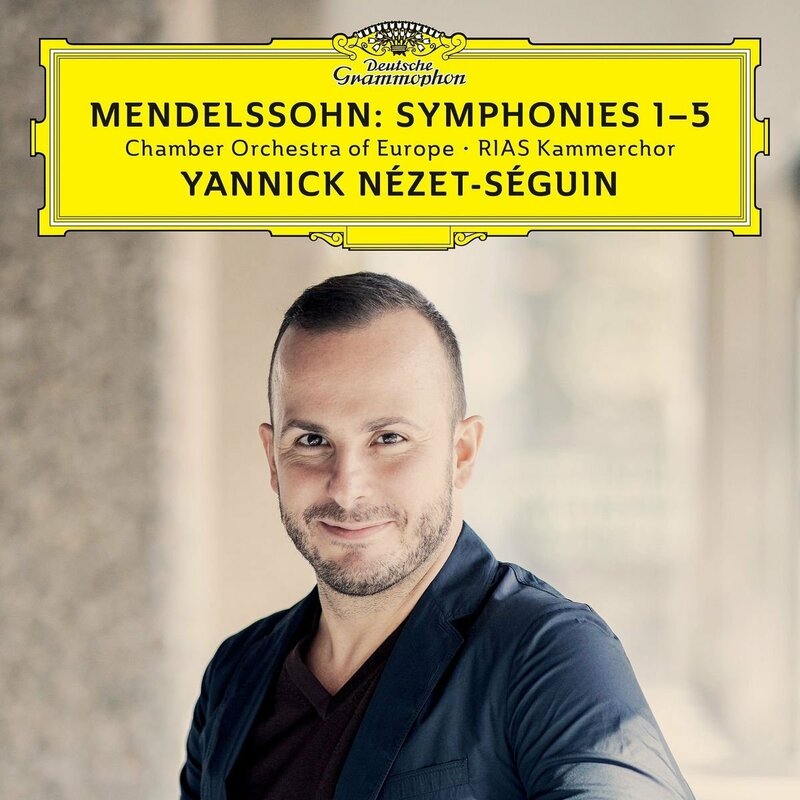 Yannick Nézet-Séguin Is regarded as one of the rising stars of classical music, and this 3CD set, with the COE, of all Mendelssohn’s symphonies has attracted a good deal of attention. Anyone buying it, will not be disappointed, at least with the performances, but to me this is not an especially compelling issue. Nézet-Séguin hasn’t as much to say about this music as established giants like Abbado and Karajan, who, on the same DG label offer excellent performances, with better orchestras, of a range of music not confined to the symphonies. To have one CD devoted to the Symphony No 2, as Nézet-Séguin does, is wasteful. There is also another issue. It was said of Sibelius that in his seven symphonies, he met the symphonic challenge differently in each case. The same is true of Mendelsohn. But in the case of Sibelius, this is meant as a compliment – each of his symphonies is special, as well as being different. That is not really true of Mendelssohn, where the quality gap between the two favourites - 3 & 4 -, and the rest is a wide one, to the point not every collector will want 1, 2 and 5. A bargain price issue coupling 3 and 4 might well be sufficient.